Is Emeraldine apatite rare? Relatively unknown in the jewelry world, apatite is an amazing stone, available in a plethora of stunning colors. Emeraldine apatite represents one of the most unusual colors you’ll ever find in this gem family. Shop LC is proud to present this boutique gemstone directly to you. It wasn’t until the late 18th century, when modern gemological understanding was on the rise, that apatite was identified as a separate gemstone. Before then, it was frequently confused for other gemstones. Identified by famed German geologist Abraham Gottlob Werner, he named the gem apatite in 1786. Its Greek roots mean “to deceive,” in recognition of the stone’s history of confusing professionals and amateurs alike. Is Emeraldine apatite valuable? The value of colored stones is typically determined by a combination of its color, clarity, cut, and carat weight. This is no different when determining what apatite is worth. These guidelines will help you choose apatite stones for your collection. Typically colored by rare earth elements, apatite is a gem that occurs in various colors. Emeraldine apatite astonishes with its amazingly even color that rivals the succulent greens of Zambian emerald. Only available in a tight range of three shades, it represents some of the rarest colored apatite ever to enter the market. Found as small crystals, apatite typically has inclusions, but these are masked by the gem’s intense color. When cut and polished, apatite has a vitreous luster. Gem-quality Emeraldine apatite is typically eye-clean and transparent. While apatite is known to be fragile, skilled lapidaries can shape the stone. For many years, cutters avoided apatite, as the material is prone to breaking. Since the Madagascar apatite boom, Shop LC gem cutters have been honing their craft with this stone. 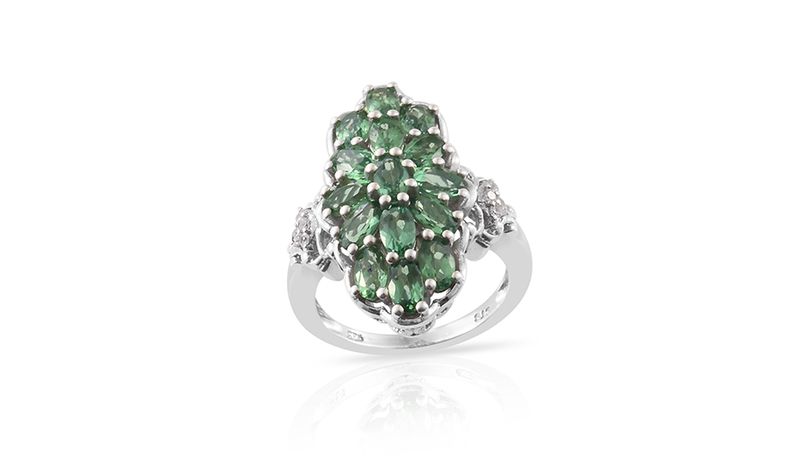 Expect to find Emeraldine apatite in popular shapes like rounds, ovals and pears, carefully hand-cut to perfection. The stone’s low yield means that larger specimens aren’t readily available, limiting the size of polished stones to around a carat or less. Most apatite gems are about a half carat in size. Apatite is a natural gemstone that sometimes undergoes heat treatment. In case of Emeraldine apatite, a dark green rough of apatite was procured and heat treated to the desirable emerald-like hue. Take care with your Emeraldine apatite. With a Mohs hardness ranking of five, this stone is more susceptible to scratches and abrasion than many other gems. However, it's still safely wearable in many jewelry pieces. Emeraldine apatite pendants and earrings are the best choices for those feeling cautious. Who Can Wear Emeraldine Apatite? 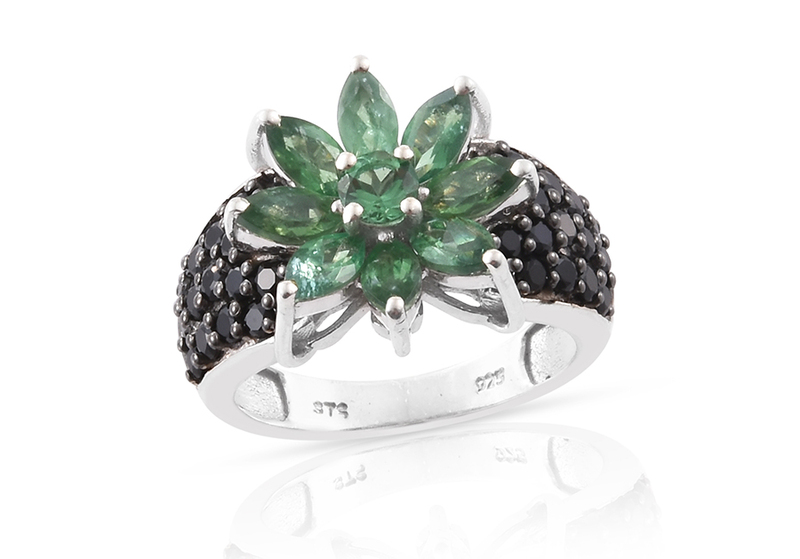 Lovers of green will rejoice in this stone! With the green glow of the Irish countryside, emeraldine apatite will appeal to any fan of demantoid garnet, tsavorite garnet, and, of course, emerald. Emeraldine apatite approximates the color of Kagem Zambian emerald very well, making it a great alternative to this gem, especially for anyone seeking larger, eye-clean stones. How Does Emeraldine Apatite Compare to Other Apatite Stones? When you compare Emeraldine apatite to other apatite stones, the main difference you’ll see is color. Gem-quality apatite is always intensely saturated, but Emeraldine apatite primarily exists in a tight spectrum of light, medium and dark green. Comparing them to traditional emerald jewels, emeraldine apatite are some of the purest stones you’ll find! 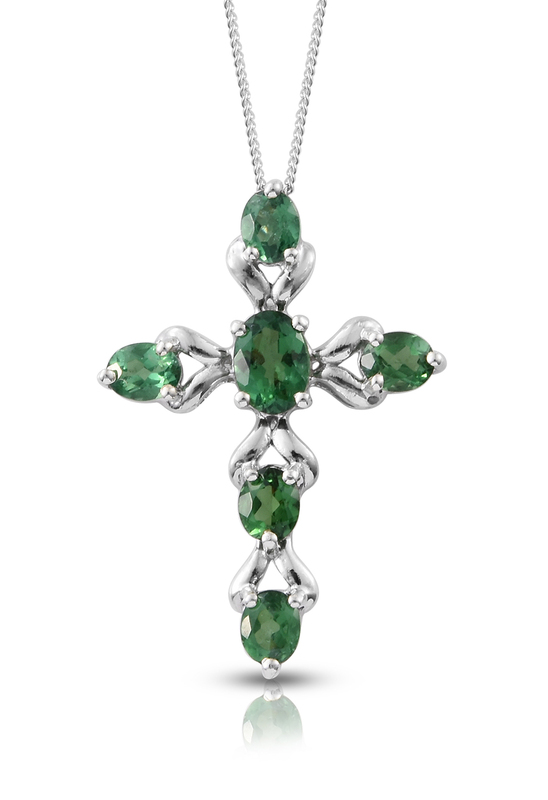 Typically eye-clean, stones are nearly free of the tangled inclusions that define most emeralds. If you’ve ever wanted to capture the appearance of high-quality emerald, consider this stone. Where Does Emeraldine Apatite Come From? Madagascar is home to much of the world’s supply of gem-quality apatite. It should come as no surprise then to learn that Shop LC uses the island nation as its source of Emeraldine apatite. How is Emeraldine Apatite Mined? 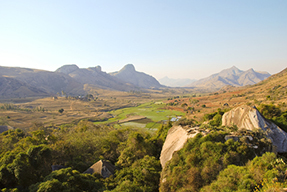 Madagascar’s rugged terrain makes it difficult to leverage heavy mechanical equipment. For this reason, the majority of mining is through traditional methods. Utilizing artisanal mining techniques, workers dig emeraldine apatite from the ground with tools like picks and shovels. Heavier equipment, like jackhammers, are used to break up the host rock as seams of the rough gemstone are searched. Once found, workers revert to hand tools in extracting the stone. Apatite is a softer stone when comparing it to more traditional stones such as sapphire. This delicate nature requires the most skilled artisans for working it, as the smallest error can become a costly mistake. Approximately five-percent of rough ever becomes a finished gemstone. Complicating matters further, finished emeraldine apatite can occur in three different shades. This makes color matching stones for jewelry a tedious process, requiring many hours of work to ensure that every piece is perfect. Combined with the rarity of green apatite, this makes emeraldine apatite one of the most unusual stones you could own! 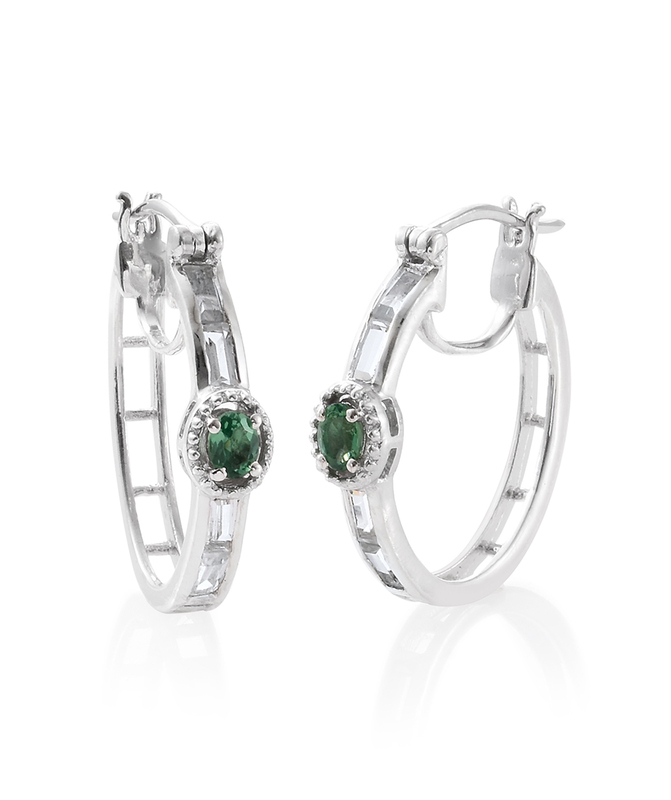 What Does Emeraldine Apatite Mean? Many gem therapists view apatite as a stone that’s useful in connecting our past and future. In these circles, it’s believed apatite clarifies confusing situations, paving the way for enlightenment and self-expression. Apatite is believed to improve vision knowledge and inventiveness. It is also said to boost confidence. Emeraldine apatite is not recognized as a modern birthstone. Its rarity in gemstone jewelry has kept apatite primarily as a collector’s gemstone. Some may prefer Emeraldine apatite as an alternative to the May birthstone, emerald, due to the striking similarity of color. Ranks five on the Mohs scale of hardness. Emeraldine apatite possesses a light to dark, medium green color, similar to fine Zambian emerald. Emeraldine apatite undergoes heating to improve its already desirable color.